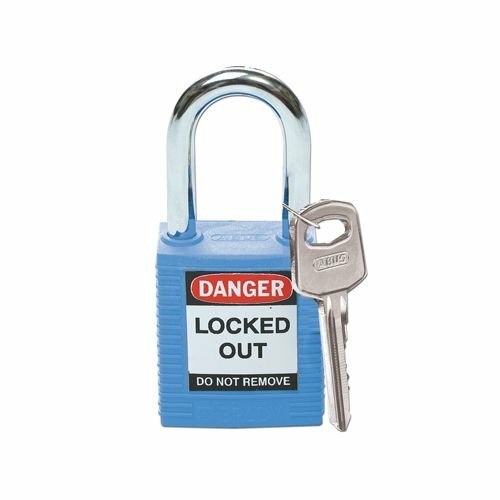 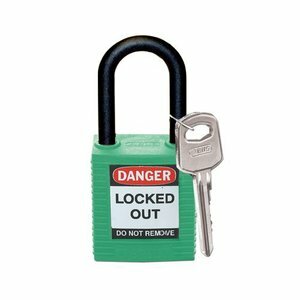 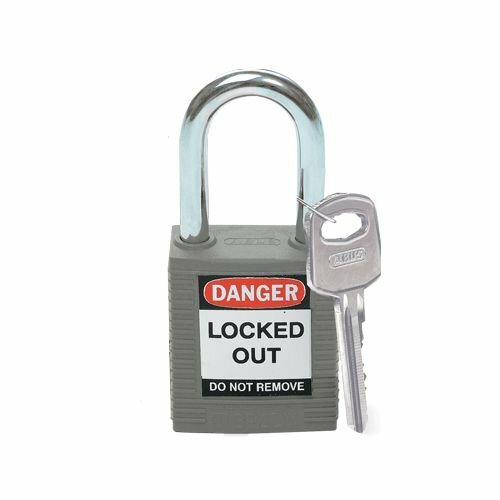 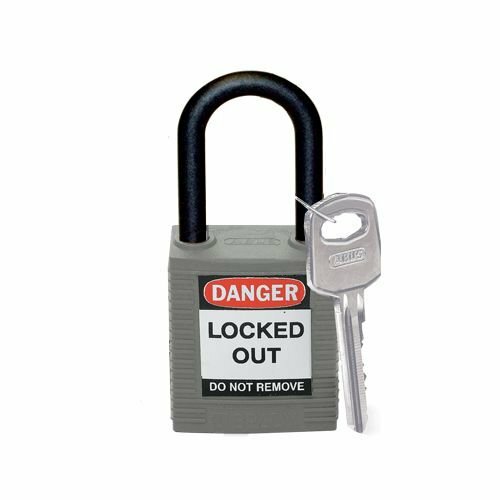 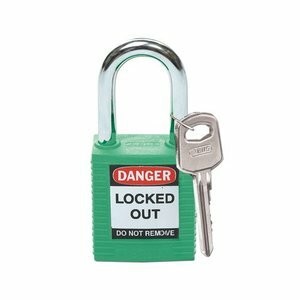 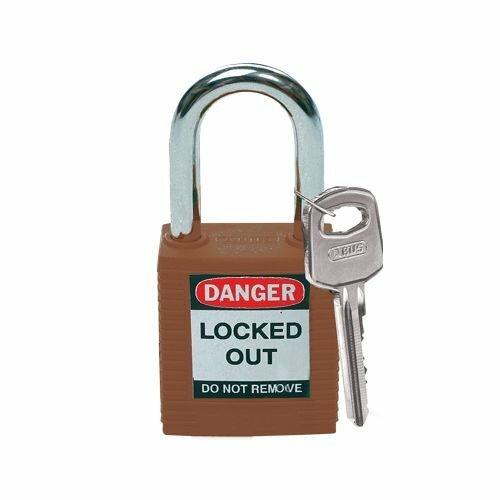 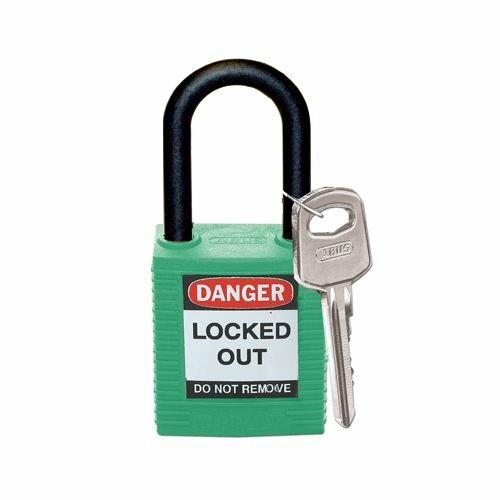 Nylon safety padlock green with a (6.50mm) hardened steel shackle and key retaining function. 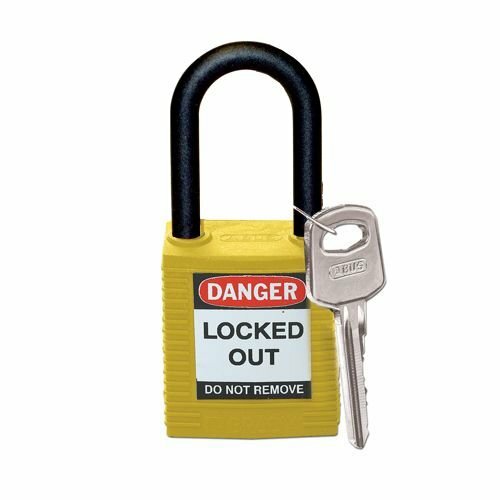 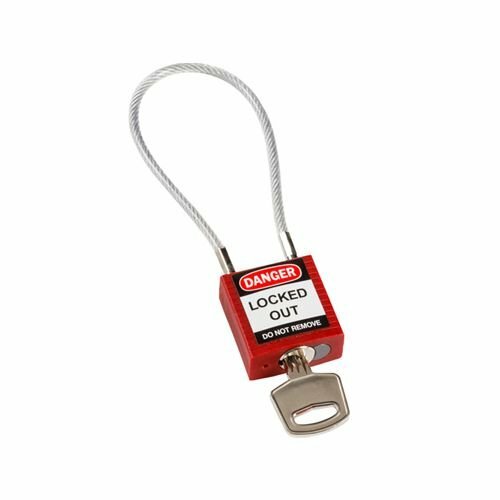 Nylon safety padlock yellow with a (6.50mm) hardened steel shackle and key retaining function. 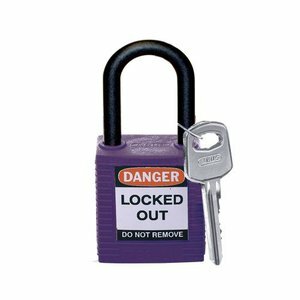 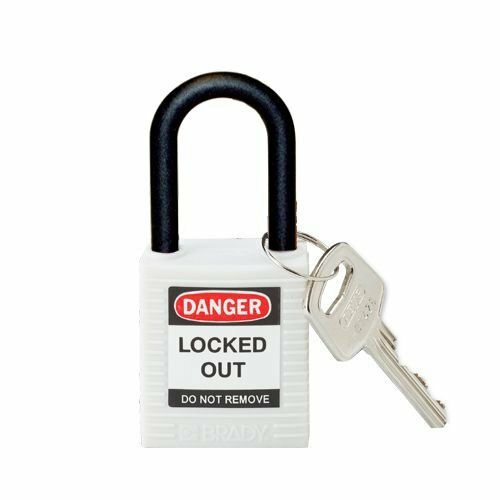 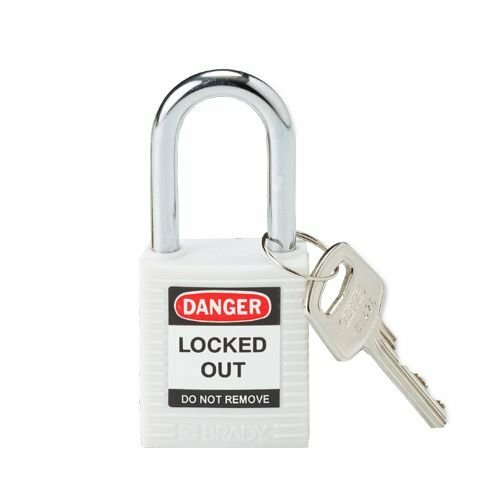 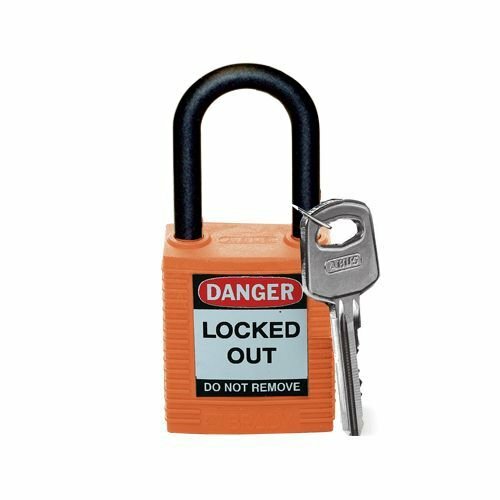 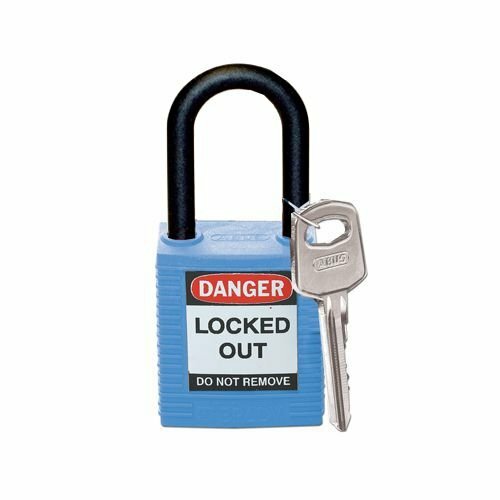 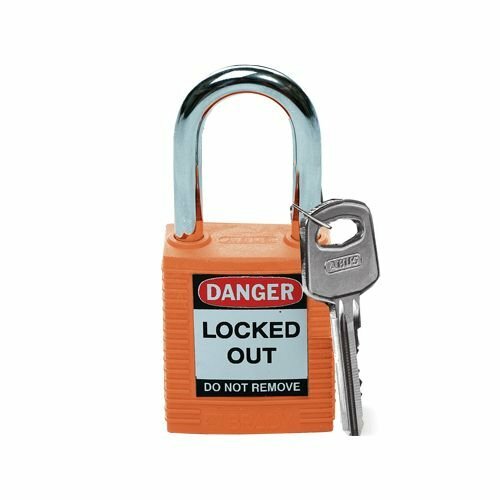 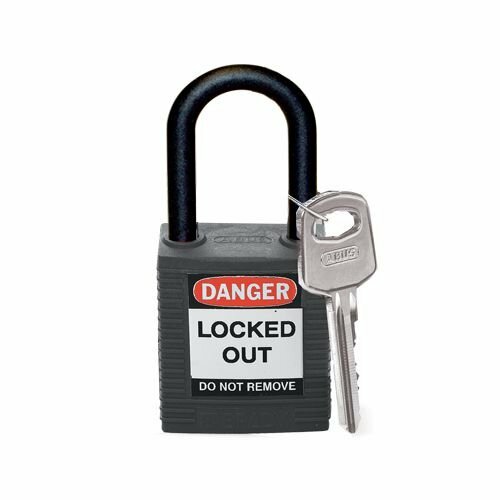 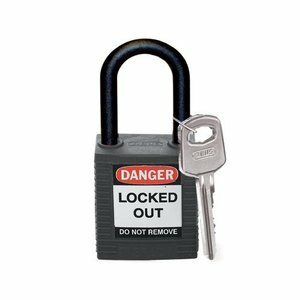 Nylon safety padlock black with a (6.50mm) hardened steel shackle and key retaining function. 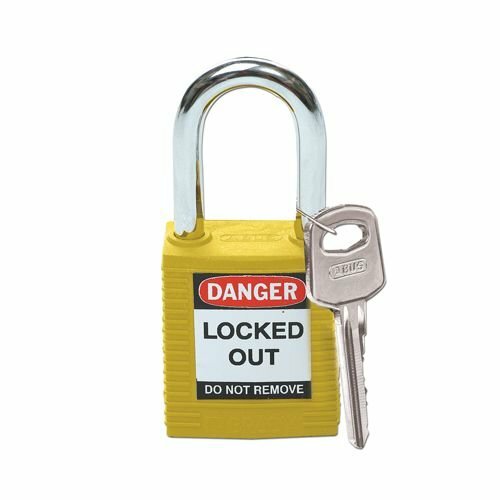 Nylon safety padlock yellow with a (6.50mm) nylon shackle and key retaining function.